The_Templar keeps picking "strategical" maps while Lorning picked Fruitland. 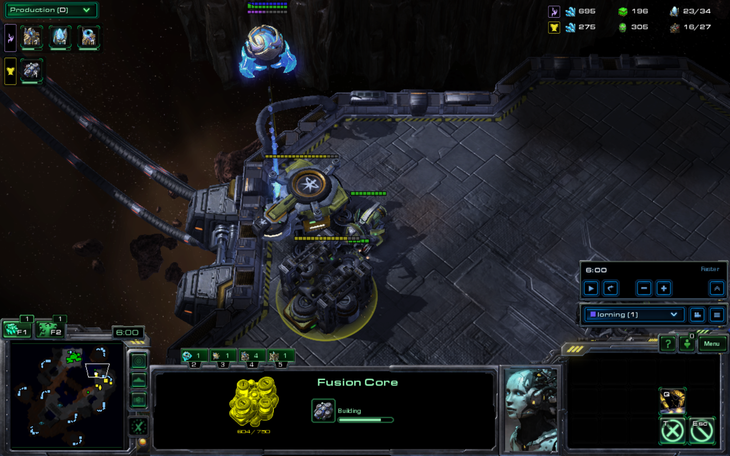 In the previous showmatch, both players kept playing long games on more standard maps. This is an excellent map pool. 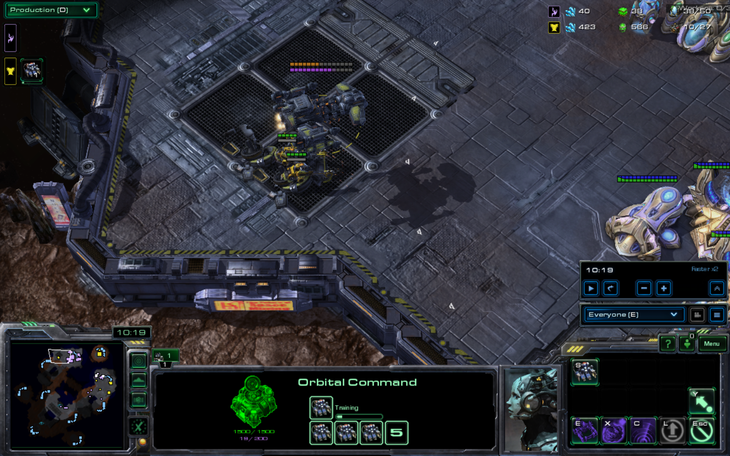 The_Templar picked terran and Scrap Station, and since this match seems to be Lorning executing builds while The_Templar uses special tactics, there's definitely a reason he picked these. Those watching The_Templar's stream saw him looking at liquipedia- specifically the Cauthonluck build. How The_Templar actually knew or remembered this build, nobody actually knows, especially as he didn't even know liquipedia existed until 2012. After looking at this outdated cheese, The_Templar opened gas before depot. Hmm, I wonder what he's doing. 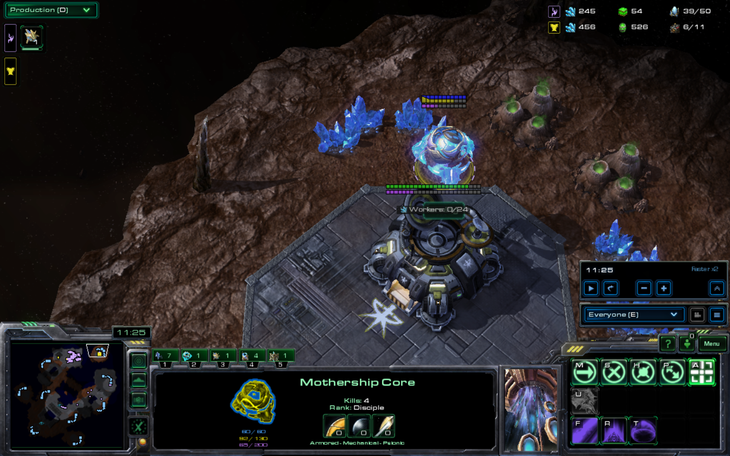 Suddenly, The_Templar looked back onto liquipedia and realized it was a cloakless banshee build designed to counter low-queen builds from zerg players. Also, Lorning scouted and saw a fast gas. Lorning uses an… interesting build. 3gate +1 attack on 1 base? Meanwhile we have the The_Templar build!! 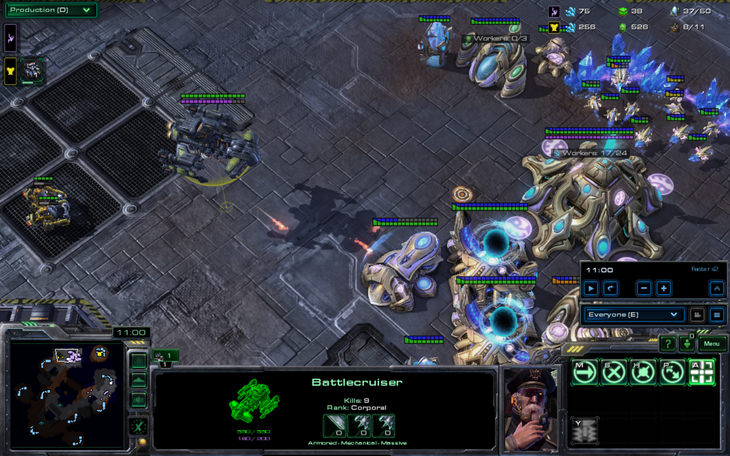 Lorning goes for a stalker poke but it dies to marines. 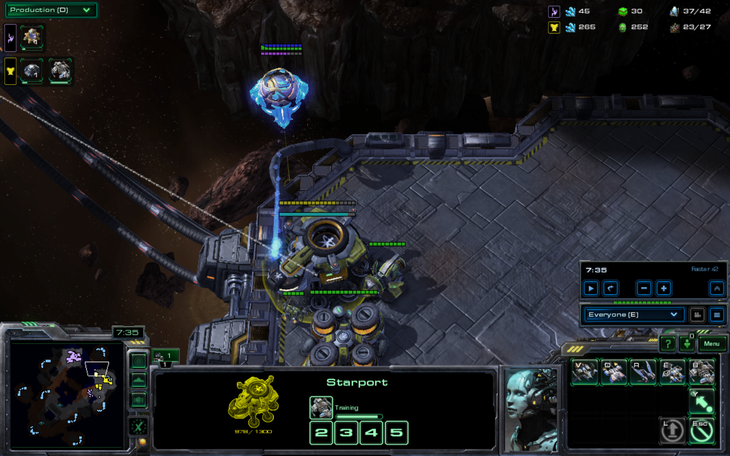 The mothership goes to attack workers but then it runs into a starport. 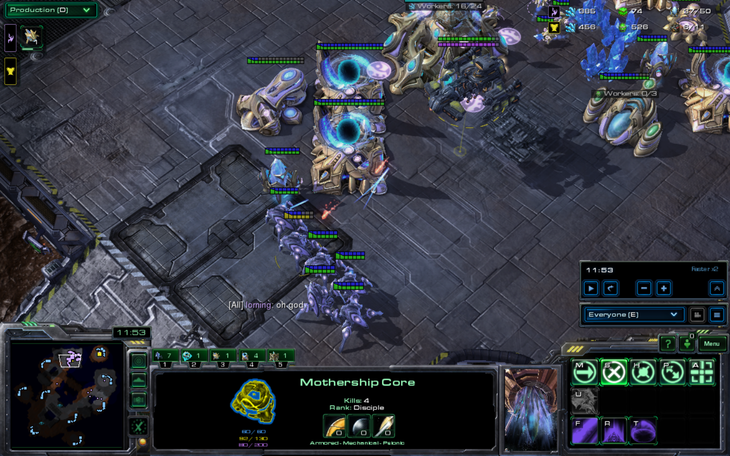 The repair vs Mothership Core battle goes on for a while. The SCV wins. Meanwhile, Lorning is going for a 4 gate with a cannon rush!! I… what? That isn't even good. Lorning charges up the ramp. 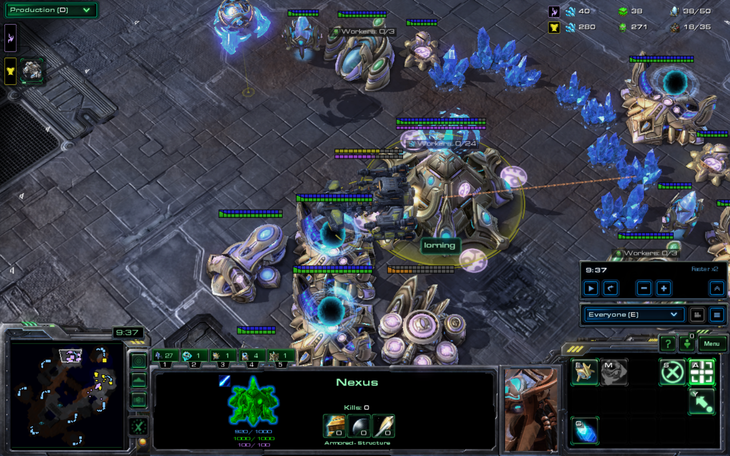 Using special micro tactics, Lorning splits all of his stalkers in case of banelings. 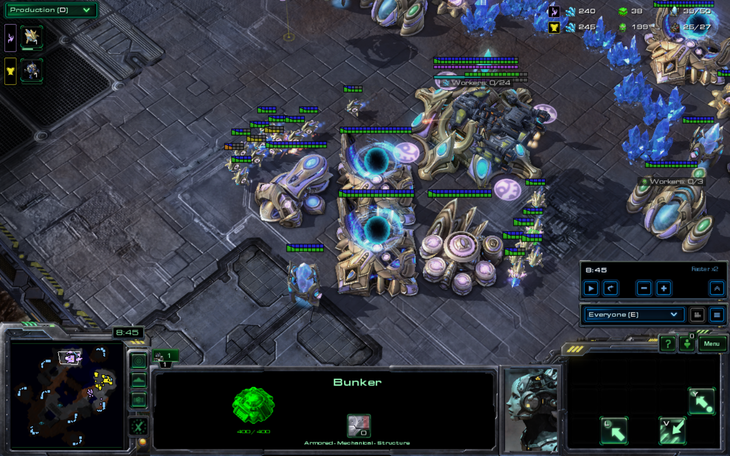 SCVs are pulled too late to save the bunker. 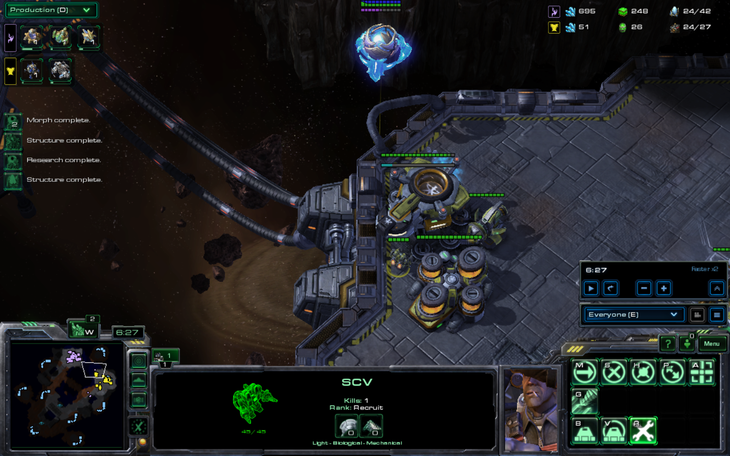 The SCV got lazy and stopped repairing the starport. 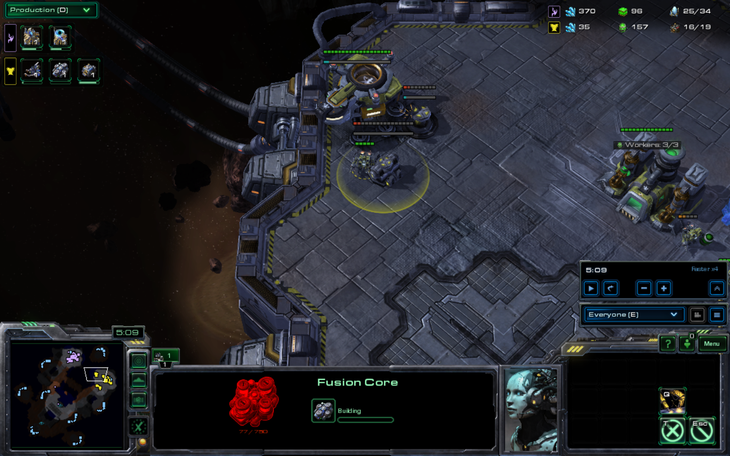 Due to the gas first, the battlecruiser finishes at about 7:50, which is 10 seconds earlier than the normal proxy BC. 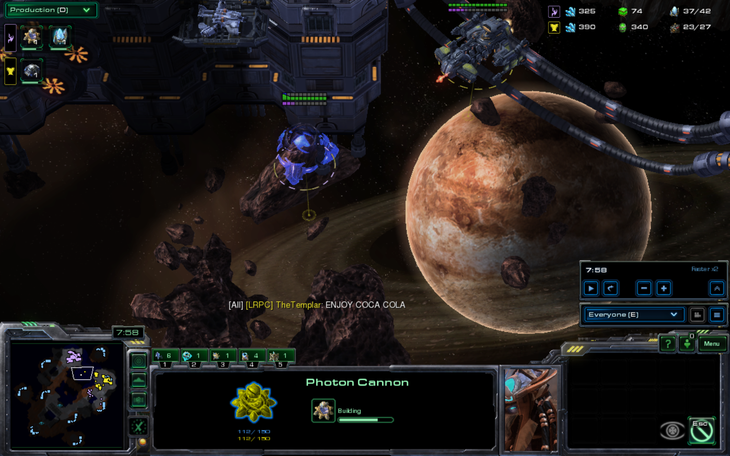 The mothership core is clearly a pepsi fan. 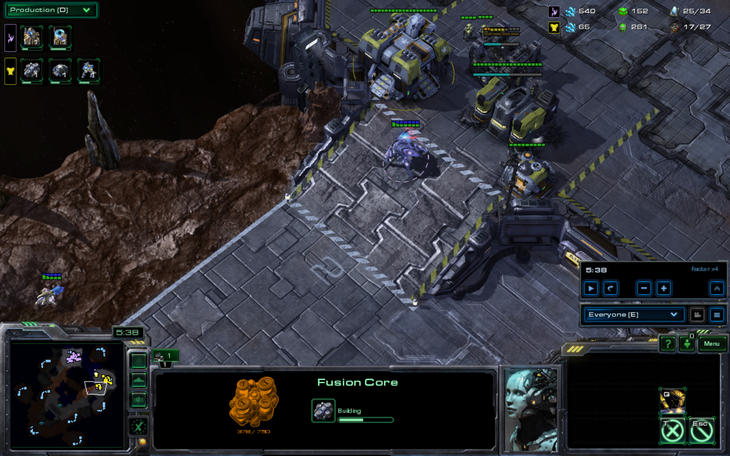 The battlecruiser gets into the base of Lorning. Lorning takes all of his probes and goes BitByBit. Since he proxied cannons, he would have the advantage if The_Templar tried to escape. 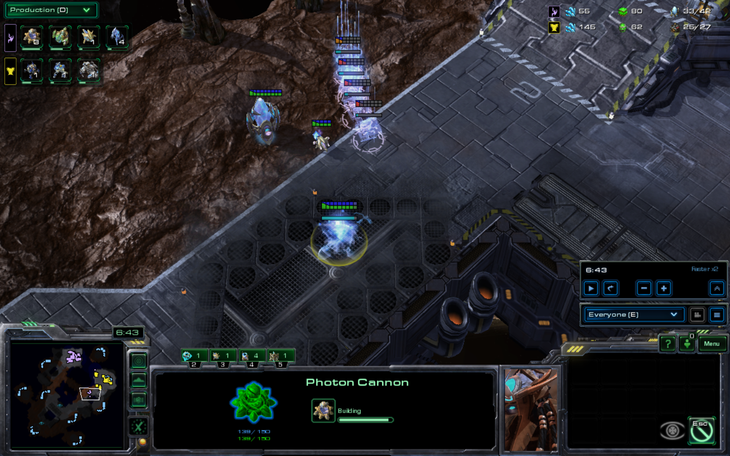 Meanwhile, the battlecruiser is unopposed in the base of Lorning, except for photon overcharge. 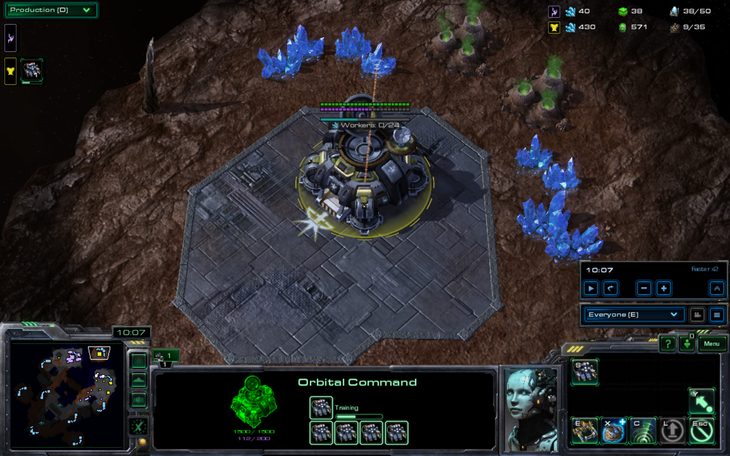 However, due to TERRRAAAAAAANNNNN, The_Templar successfully secures the island base. MULEs are landed to repair the BC while the photon overcharge is active. Clearly it is more important to kill the forge than anything else. 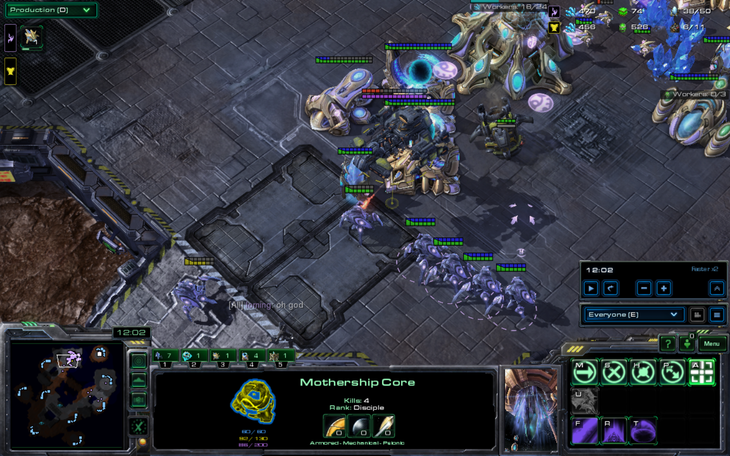 Mothership core > terran base. Meanwhile, the stalkers come back. 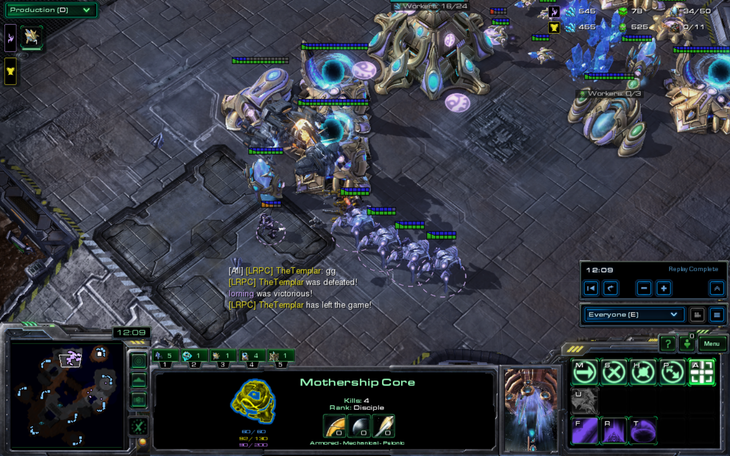 The_Templar's MULEs died and he forgot to land a new one, although he is at full health now. 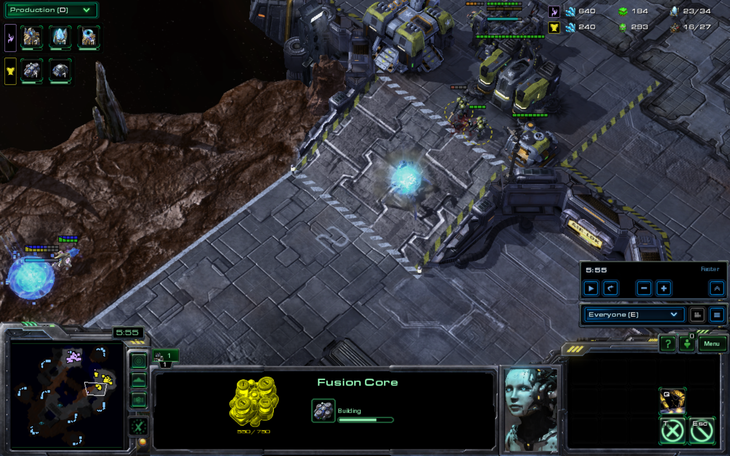 Due to the observer minimap, the island base looks pink even though it's yellow. 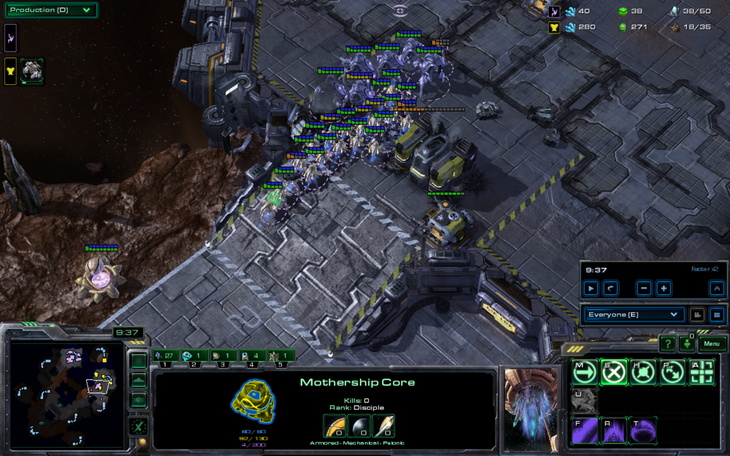 Due to the mothership core, The_Templar's rush was rendered completely ineffective and the 4gate with cannons succeeded. Why there were cannons I'm not sure, but I believe that Lorning wanted to fend off a counter banshee rush. 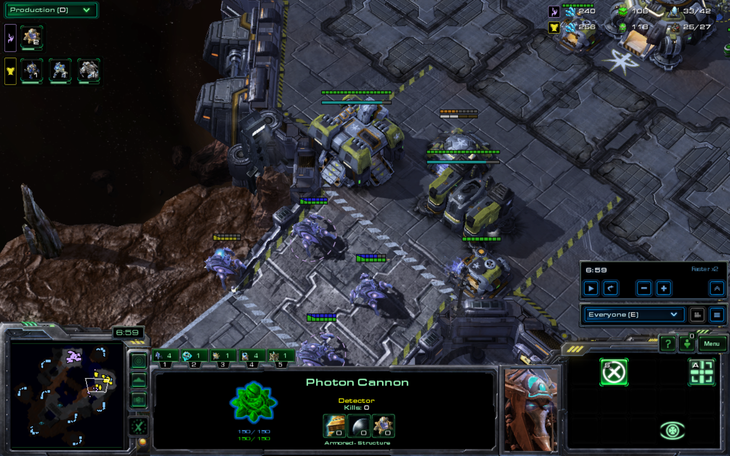 Those cannons didn't do anything this game… but they will. Cattlebruiser on Scrap Station. Good times, good times. Lorning needed to make a full Mothership. 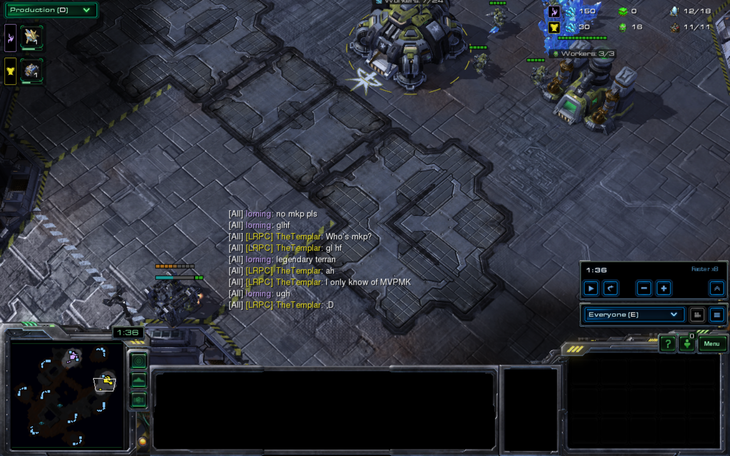 Stalkers so imba vs BC. I mean, a BC only has as many HPs as 10 marines. Seems pretty weak for a massive spaceship. Glad that Enjoy Coca Cola made a return though. Context behind "Enjoy Coca Cola"
After reading that, when doing mothership rushes for a day funday monday or when using motherships offensively in the later game in WoL, I would announce "Enjoy Coca Cola" as I recalled into their base. Eventually I just started using it whenever I rushed a badass unit.